Bed skirts are like curtains for your bed. They hide any visible mess under your bed and add a little sophistication to your overall bedding, especially if you have a simple platform bed frame. A straight skirt adds height to your bed while patterned or ruffled skirts add texture. You don’t need to be an expert to add a bed skirt to your setup either, simply place it between your box spring and mattress. Bed skirts can be ruffled and feminine or streamlined and simple, it just depends on your Bedding Style. Mattress toppers aren’t just for extra comfort. Sure, you’ll love sinking into a memory foam cloud, but a topper also adds height and dimension to your bed, especially if you have a thinner mattress. You can find toppers that are thick, thin, firm, or soft to match your sleeping preferences. There are many specialized toppers available, from cooling gel foam for sweaty sleepers to firm foam for those with back problems. 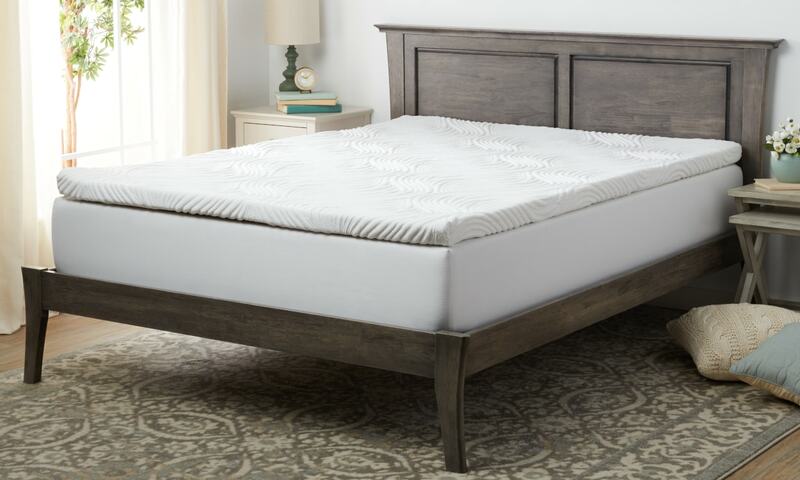 Visit our Memory Foam Mattress Topper Buying Guide to learn more about mattress toppers. One bedding essential every adult needs is a set of quality bed sheets to tie the look of your bedding together. Try crisp white bed sheets for a chic five-star hotel look or a bold patterned sheets with a simple comforter for something more funky and eye-catching. No matter how you style them, your sheets set the mood for the rest of your bedding. That said, color isn’t all you should look for. 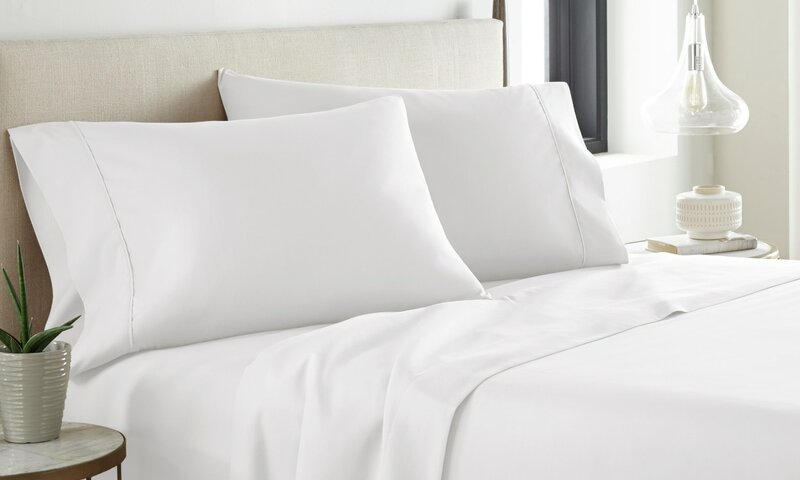 Ease of care, heat retention, and price are all important when buying new sheets. Get the full story and find your new favorite bed sheets from our Bed Sheet Buying Guide. All the different shapes and sizes of pillows make them perfect for dressing your bed. Rectangular bed pillows, big square Euro pillows, and long body pillows all have their place for practical sleeping but you can also add fun throw pillows with different textures, colors, or shapes. With the largest pillows against your headboard or wall, add bed pillows and throw pillows to add depth and texture to your bedding. You can even give your kids’ beds a cool layered treatment with stuffed animals or throw pillows featuring their favorite characters. Get the low-down on how to buy pillows with our Pillows Guide. Time to add some real substance. 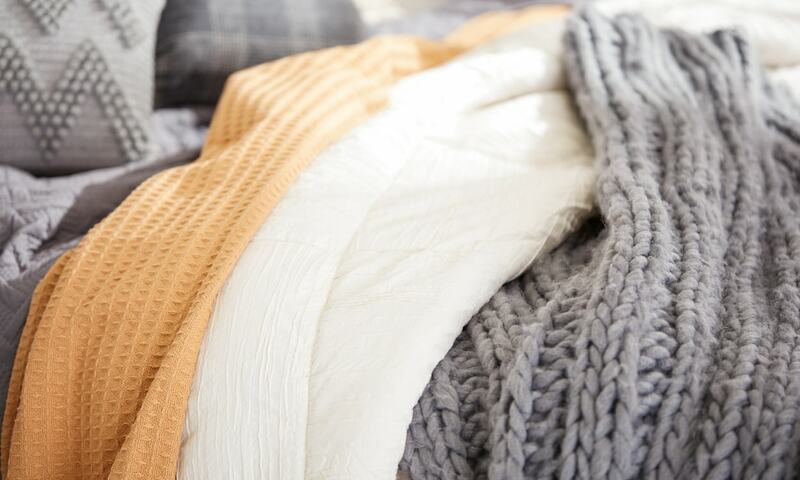 Dress your bed like you dress for winter — with lots of layers. 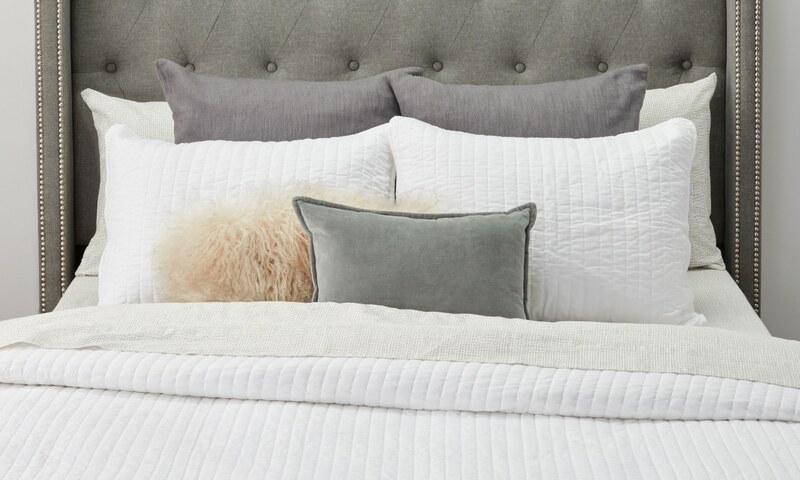 Sneaking in some soft, heavy layers between your flat sheet and comforter is the perfect way to combat temperature swings throughout the night. 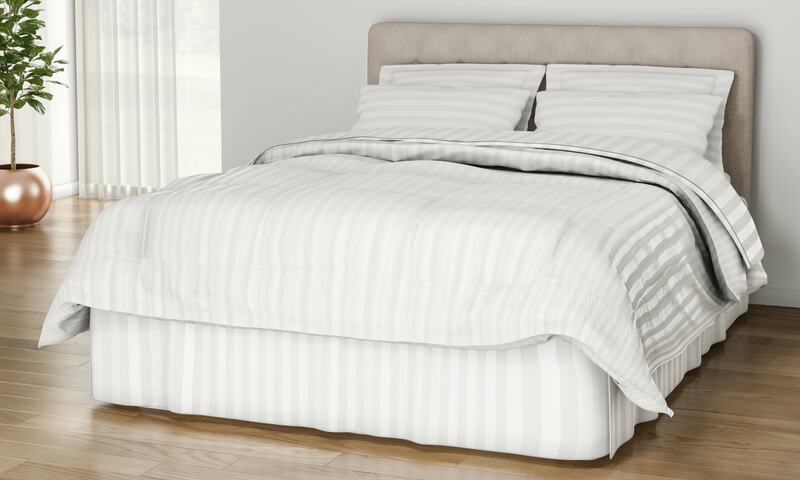 This breathable bedding essential also allows you to switch up weave types to find a sheet feel you really enjoy. Materials like flannel or microfiber are weighty, warm, and easy to remove if you get too hot. Learn how to layer your bed in winter and summer with our Seasonal Bedding Guide. 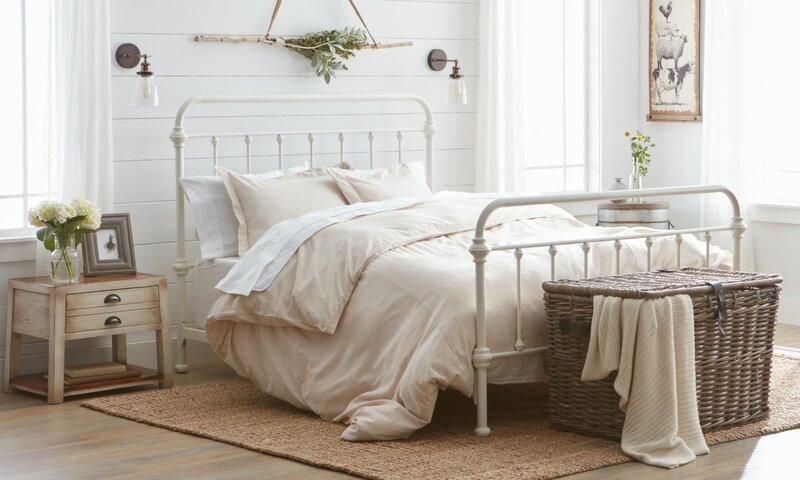 When it comes to the top layer of bedding, it’s important you fall in love with every stitch. Whether a light, airy comforter for summer or a thick, fluffy duvet for winter, the top layer is the ultimate bedding essential. Fortunately, your options for bedspread thickness and color are limitless. Funky geometric patterns make your room feel young and fresh while traditional patterns like damask or jacquard create a sophisticated look. Not sure what kind of bed spread to choose? Our Guide to Duvets & Comforters has all the answers. 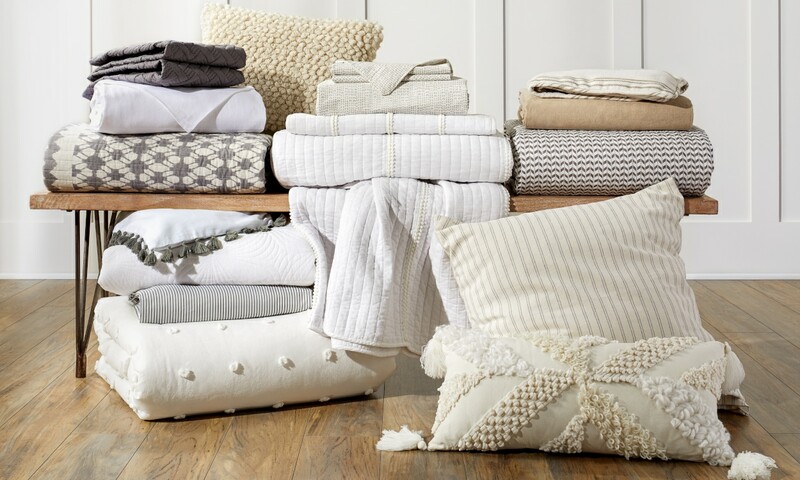 Like the perfect accessory, finishing touches are bedding essentials that really complete a look. Items like luxurious faux fur throws and stylish throw pillows add a little extra personality to your bedding. We’ve done some digging into the Best Blanket Materials to help you find your newest finishing touch. 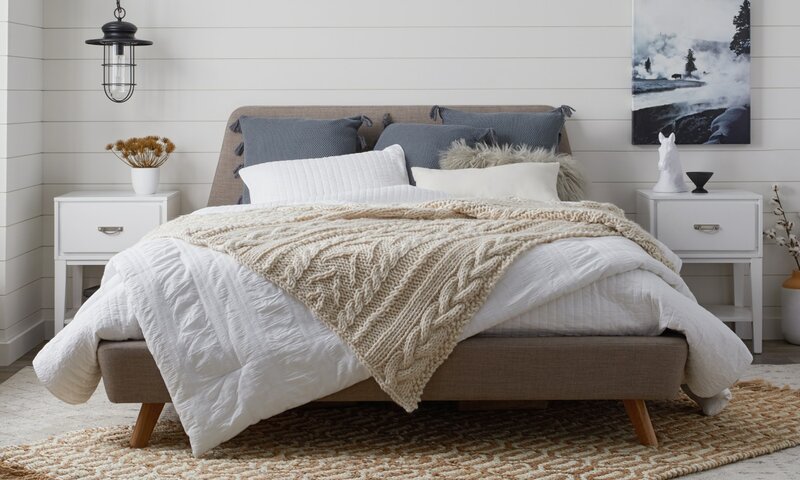 Using these bedding essentials, you can transform your basic bed into a cute and cozy retreat. You’re welcome. Once you’ve whipped your bed into sleeping shape, you can start thinking about how to update the rest of your bedroom decor in a way that complements your new style.